For a great rainy-day activity, help your child make his or her own personalized type 1 diabetes ID bracelet. With this easy DIY style, your child can pick out a favorite ribbon color for the band and create the design for the center disc—or you can use one of the 15 different designs included in the free template below. The possibilities for your child’s most essential accessory are endless! Print out the template sheet on regular paper or create your own design and cut it out. If you’re designing your own, make sure it’s small enough to fit the pendant (a 1-inch-diameter circle). To keep the printer ink from blurring when you apply the adhesive (in step 3), cover both sides of your disc with laminating paper or clear shipping tape and once again cut it out. Lay the disc onto the blank pendant. 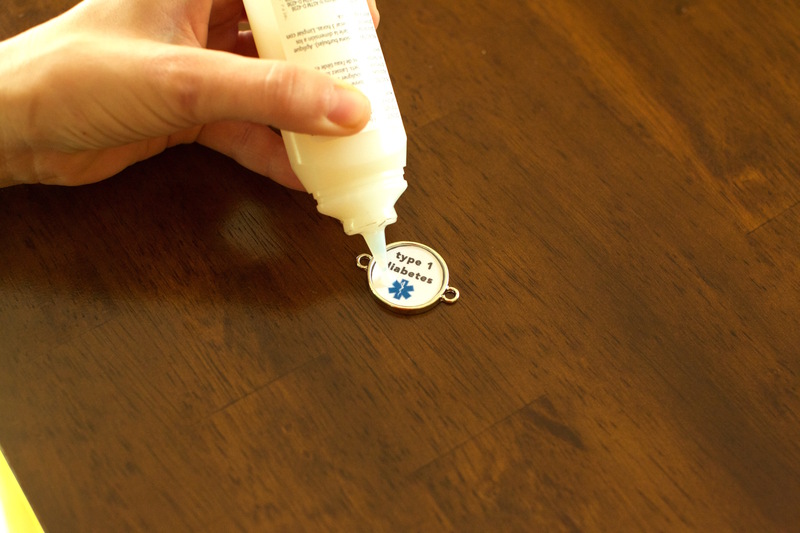 Apply enough dimensional adhesive to fill the entire surface of the pendant without letting it spill over the sides. The adhesive may appear cloudy when it’s first applied, but it will dry clear. Pop any bubbles in the adhesive gently with a pin. (If popping doesn’t get rid of them, use the pin to sweep the bubbles over the side of the pendant—sometimes this works better!) 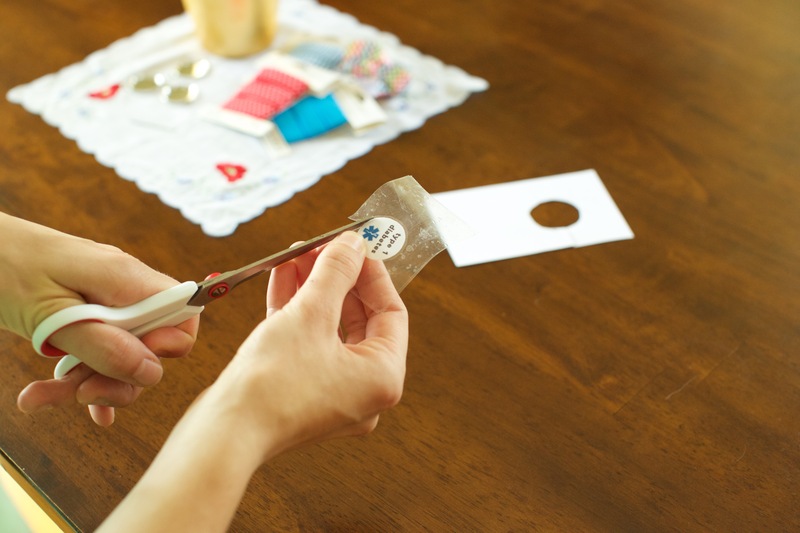 Set the pendant aside for three hours or until the adhesive is completely dry. Cut two 15- to 18-inch lengths of elastic ribbon. Pull one strand of ribbon, patterned side up, through each pendant connector loop. Line up the strands so that they all hang at about the same length. 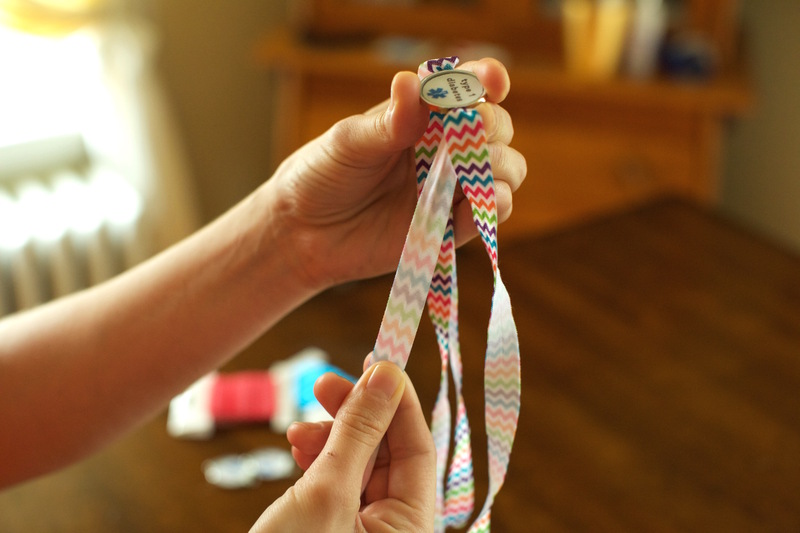 Place the untied ID bracelet around your child’s wrist to determine his or her perfect size. 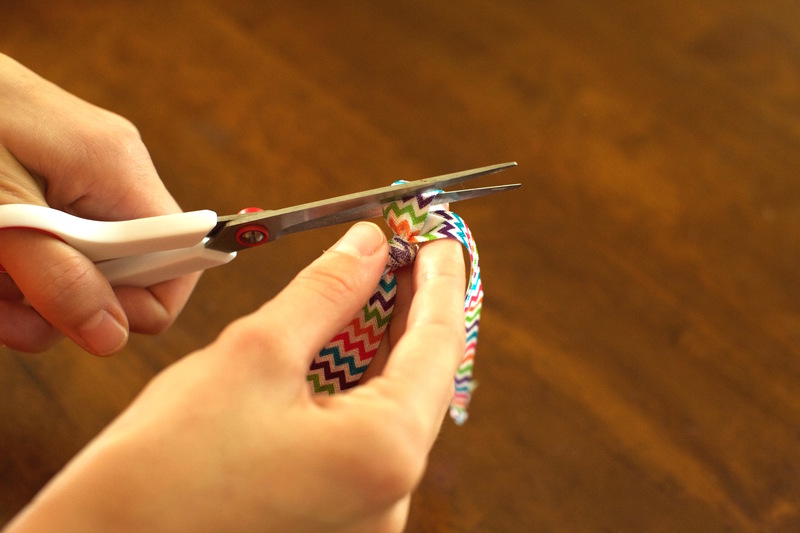 Then tie a basic knot by holding all four strands of the elastic ribbon together, looping them around your index finger, and pulling all ends through the loop at once. Secure the knot as tightly as possible and trim off the dangling strands of ribbon, leaving about half of an inch hanging below the knot so it doesn’t unravel. 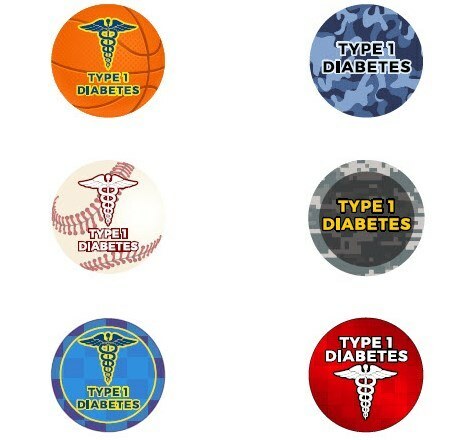 Your fun and functional type 1 diabetes medical ID bracelet is now ready to be worn! Mod Podge is a registered trademark of Plaid Enterprises, Inc. All other trademarks are the property of their respective owners.